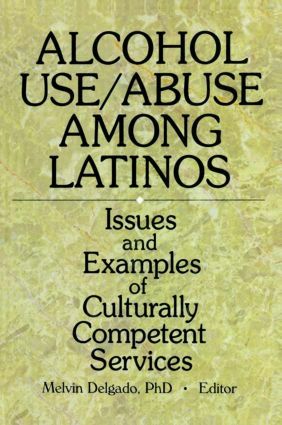 In Alcohol Use/Abuse Among Latinos: Issues and Examples of Culturally Competent Services, you will learn how to design and improve services for Latinos with substance abuse problems by understanding that the cultures and personal backgrounds of your clients are crucial to the counseling process. This text will also show you how these service skills apply to the individual, family, or an entire community. Alcohol Use/Abuse Among Latinos also discusses Latino mens’and womens’individual needs concerning substance abuse. One of the topics addressed, the loss of self-esteem, has been found to be a contributing factor to alcohol use and abuse for Latinas. It offers ways you can promote self-esteem in your Latina clients by focusing on their cultural heritage and pride. In addition, this text takes a unique look Latina lesbians and how training through educational and agency internship programs can promote awareness to your clients’ special needs concerning substance abuse. Alcohol Use/Abuse Among Latinos will help you provide all of your Latino clients with efficient and culture-friendly services for resisting or overcoming the abuse of alcohol, tobacco, or other drugs.